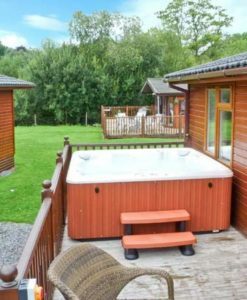 Browse the very best self-catering log cabin accommodation with hot tubs in The Lake District. You won’t find a better rate online as we check prices daily. 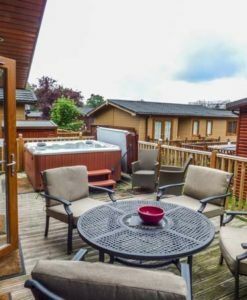 Discover the most popular hot tub lodges in The Lake District, including Windermere & Ambleside. Check availability online and book today with a low deposit. 2017 deals now available. If you’re looking for the ultimate log cabin break in the Lake District, you’ve come to the right place. 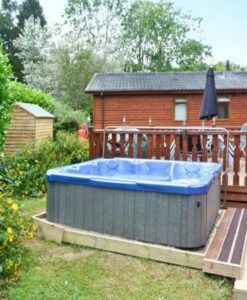 LogCabinsWithHotTubs.co.uk offers the largest selection of log cabins on the web for all holiday group sizes and budgets. Every property we feature boasts a private hot tub for a relaxing, romantic, and luxurious getaway. 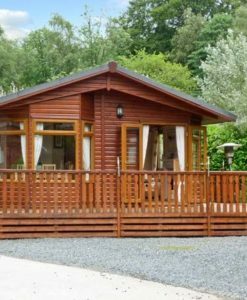 We want you to make the most of your Lake District holiday, which is why we only feature self-catering holiday lodges that are located in the heart of this picturesque landscape. Enjoy a rejuvenating deep soak before you begin your adventure-packed day when it’s time to unwind and settle in for the night or both. Each cabin is quiet and secluded, allowing you to step away from the hustle and bustle. 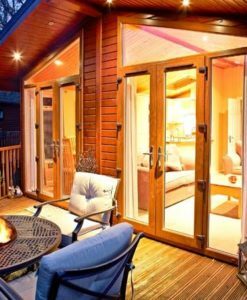 Whether you’re searching for the ultimate romantic retreat, family holiday, or group trip, we showcase log cabin accommodation in The Lake District that is sure to meet everyone’s needs. 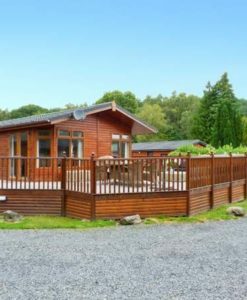 Nestled on the central eastern shores of Lake Windermere sits the acclaimed White Cross Bay holiday park. Here you will find 22 Thirlmere, a deceptively spacious lodge with contemporary interior and ultra-modern kitchen. 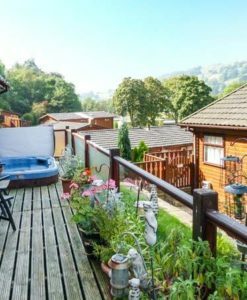 Another must view property is Langdale Lodge 15, a 4 star rated self-catering cabin in the heart of the complex. White Cross Bay has been awarded the coveted TripAdvisor Certificate of Excellence and benefits from a multitude of onsite guest services, from amusements, gym and indoor heated pool, to a year-round bar and restaurant. 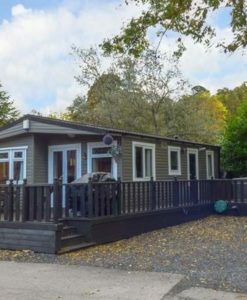 Other highly rated lodges within White Cross Bay include Lakeview 6 and Owls Nook, both perfectly suited to family breaks. Limefitt Park is an award winning park located in one of the Lake Districts most beautiful valleys, Troutbeck, which is just outside of Windermere. It has an abundance of walks and wildlife in spectacular, unspoilt surroundings. Limefitt is not remote though, as it is little under 10 minutes drive from either Windermere and Ambleside. Ideal for pet-owners as each lodge welcomes 2 well-behaved dogs. 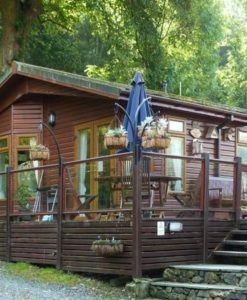 You will find many stunning lodges from the Limefitt park on LogCabinsWithHotTubs.co.uk, including Dickens Lodge and Wansfell View. The Lake District is known for its many lakes, mountains, and forests. Stretching for miles between Newby Bridge and Ambleside, Windermere is the largest lake in the Lake District and England. Attracting scores of tourists each year, Bowness-on-Windermere provides a range of activities, amenities, restaurants, and shops. Scenically located on the banks of Windermere, you can take a boat trip around the lake and see its 18 islands. If you’re looking for an adrenaline rush and aim to conquer the outdoors, the Lake District offers hiking, rock climbing, ghyll scrambling, and abseiling activities for all ages. Keswick is known for its scenic landscape and range of outdoor activities available. With a large selection of visitor centres, parks, and attractions, you can embark on a mountain goat tour, gear up for a Gyrocopter Experience flight for an aerial view of the Lake District, or tour The Puzzling Place for the ultimate optical illusions. Head into the lush green forest of Whinlatter Forest Park, near Keswick, for a tree top adventure filled with high wires, zip lines, and tricky crossings. The Lake District offers activities to suit everyone’s interests and adventure personality. 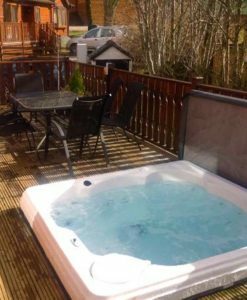 Search Log Cabins with Hot Tubs for the largest selection of hot tub log cabin holidays across England, Scotland, and Wales. 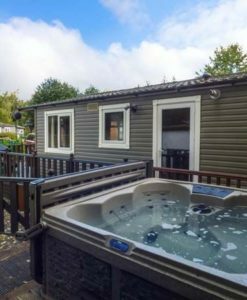 As the UK’s most popular website for discovering log cabin holidays with private hot tubs, you’ll find premier accommodation in every must-see location, including the Lake District. View images of each immaculately-presented cabin, learn more about the accommodation and amenities and find the one that’s perfect for you or your family. If you have any questions about the area or the accommodation, we offer live chat support. Our easy-to-navigate site allows you to search, browse, and book in one convenient place! With our affordable prices and excellent offerings, you’ll receive great value for money. 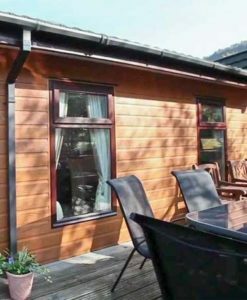 Rent your log cabin with hot tub in the Lake District today!